Laravel is the most popular PHP framework, with more than 20 million downloads along with lots of enterprise and personal projects worldwide. Because once you learn it, creating complex applications are easy to do, because thousands of other people have created code we can plug (packages) in to our Laravel application to make it even better. About Laravel ORM (Object Relational Mapper) and Raw SQL queries. This course takes you through lots practical skill with some theory so you get more experience that its essential for becoming a Professional Laravel Developer. A complete course to master latest Laravel 5.4 web framework. With this course, you will learn core concepts of Laravel PHP framework, learn to build real world Laravel web apps, and learn real world web programming concepts. In addition to Laravel, this course also includes teaming up Laravel with some other state-of-the-art technologies such as PostgreSQL, Laravel Mix, Bootstrap, and OctoberCMS. Basic website — In this project, you will learn how to install Laravel, set up the controller, views, migrations, compile your assets with Laravel Mix and build a basic website. Todo List — A simple Todo list will help you understand how to integrate CRUD (create, read, update, delete) functionality in Laravel. Business Listing — In this application, you will learn how to create authentication, add business listings and delete them. Photo Gallery — Here you will learn how to create albums and update photos into that album. OctoberCMS Website — A website built with the october content management systems that is built on Laravel. MyTweetz Twitter App — An app integrated with the Twitter API, which will allow you to not only compose tweets, but also publish them. MarxManager Bookmark Manager — A bookmark manager using the PostgreSQL as your database. Vue.js Contact Manager — In this project, you will learn how to build a front-end using Vue.js as a component to work with our contacts in the backend. Backpack Website With Admin Area — This project will familiarize you with backpack, a collection of different packages to create different features in your admin panel. This course is using a project driven approach to learn Laravel. In this course you’ll learn Laravel PHP Framework from scratch by building real world application — Wordpress CMS clone Application. Build a RESTful API for a market system using Laravel. With Laravel creating every component will be a breeze; you will have a project with users, sellers, buyers, transactions, products and categories. Explore all types of relationships, one to many, many to many and much much more using Eloquent the Laravel ORM. In this course, you learn how to develop a realistic, fully implemented, and professional RESTful API with Laravel. Additionally, includes fantastic features to implement a RESTful API easily. Take full advantage of tools like Sublime Text 3, Git, power shell, Laravel, Composer, PHP artisan, and be more productive for agile development. With this course build simple to advanced web applications using laravel, learn how to build ecommerce web applications in php/laravel, learn how to build forums, blogs, and the most popular of today’s web applications, and get a deep understanding of laravel. This course uses a project based approach for learning. It would also be filled with specific articles to read to clearly understand a concept better, and multiple explanations of all concepts taught . You will build a number of projects from simple to extra advanced, as listed below. Task application: You will learn the total basics of MVC frameworks, by building a tasks application, where you can create, read, update, and mark tasks as completed. With this course develop apps using Laravel PHP framework, learn about Laravel features such as ORM, modular packaging system and query builder, learn all about MVC architecture, learn to develop scalable and maintainable apps, and learn to develop great web applications using one of the most popular open source PHP framework. You will learn to program using the latest Laravel version and will go through all the underlying concepts which make this framework so cool. This course has been designed to provide a practical training in Laravel. Learn all this and create a full fledged working web application along the course to assimilate all your concepts. With this course develop fully functional web application of any kind, build custom projects from scratch, and understand how MVC frameworks are working. This course focuses on learning how components in Laravel work with each other. Grasp the power of Laravel to build modern applications! The highlights of this Learning Path are build a powerful but simple app with Larvel, quickly Add essential real-world features such as authentication, single sign on, and search extend your Laravel application with advanced features and high performance techniques. You will start off with building an online forum from scratch using Laravel. You will also learn to use routes, connect a database, add comments, and build an authentication system for your forum. Next, you will extend your basic traditional authentication and learn how to add social sign-on capabilities with the Laravel Socialite package. You’ll add search features easily with the help of Laravel Scout. Next, you will learn to create and customize your PHP app and tweak and redesign your existing apps for better performance. This one course contains tutorials in MVC , QRcodes, payment integration , APIs and microservices, mobile app development (Android and iOS). With this course build a full stack web app with Laravel 5, Laravel Mix, Bootstrap 4, Sass & Fontawesome 5, and use Laravel mix for asset compilation. 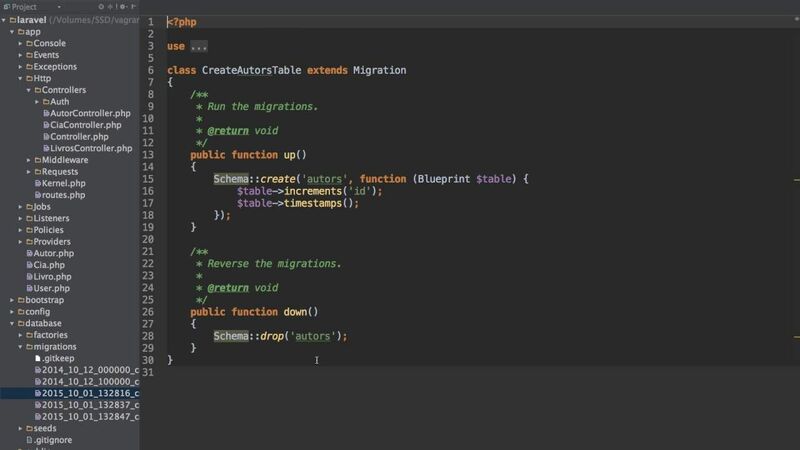 Basic Laravel features: database migration, database seeds, model factories, accessor & mutattors, form validation, authentication and authorization. Advance eloquent relationship: many to many and many to many polymorphic relationship. Integrating fontawesome 5 via Laravel mix. Integrating bootstrap 4 for UI styling. Using Git for version control and Github as code repository. Introduction to Vue js: Directive, list rendering, conditional rendering, class binding, style binding, components and much more.